In the Village of Montgomery all cars must be removed from the streets when there is a snow fall of 2 inches or more. Help us help you by keeping parked cars off the street when snow operations are in progress. Cars are towed only when absolutely necessary and the effort is made to tow the vehicle to a nearby location. Violators will have their car towed. You are required to remove snow and ice from all sidewalks which adjoin your property within 24 hours of snow & ice fall. Shoveling your sidewalk will make foot travel safer for your neighbors, delivery people and school children. If the snow or ice is not removed from the sidewalk within 24 hours, the Village may remove the snow or ice and assess any cost incurred to the homeowner. 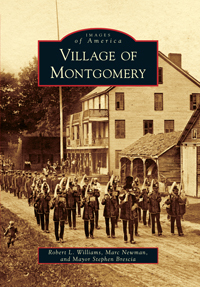 The Village of Montgomery municipal code is now available online. Just enter keywords into the search bar and get the info you need in seconds. Code RED Emergency Notification delivers real-time emergency, community, missing person and severe weather alerts to users within the exact area of impact.